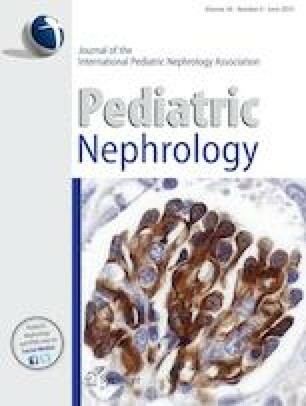 The association between the clinical presentation of congenital anomalies of the kidney and urinary tract (CAKUT) and gene mutations has yet to be fully explored. In this retrospective cohort study, we examined patients with CAKUT who underwent gene analysis. The analysis was performed in patients with bilateral renal lesions, extrarenal complications, or a family history of renal disease. The data from the diagnosis, gene mutations, and other complications were analyzed. In total, 66 patients with CAKUT were included. Of these, gene mutations were detected in 14 patients. Bilateral renal lesions were significantly related to the identification of gene mutations (p = 0.02), and no gene mutations were observed in patients with lower urinary tract obstruction (six patients). There was no significant difference in the rate of gene mutations between those with or without extrarenal complications (p = 0.76). The HNF1β gene mutation was identified in most of the patients with hypodysplastic kidney with multicystic dysplastic kidney (six of seven patients). There was no significant difference in the presence or absence of gene mutations with respect to the renal survival rate (log-rank test p = 0.53). The renal prognosis varied, but the differences were not statistically significant for any of the gene mutations. CAKUT with bilateral renal lesions were significantly related to gene mutations. We recommend that CAKUT-related gene analysis be considered in cases of bilateral renal lesions. No gene mutations were observed in patients with lower urinary tract obstruction. The renal prognosis varied for each gene mutation. We would like to thank Mr. James R. Valera for his assistance with editing the manuscript. The case of the patient with the Eya1 gene mutation was published elsewhere . This study was supported by grants from Ministry of Health, Labour and Welfare, Japan, for Research on Rare Intractable Diseases in Kidney and Urinary Tract in the “Research on Measures for Intractable Diseases” Project (H24-nanchitou (nan)-ippan-041) and the Japan Agency for Medical Research and Development (AMED) (16kk0205002). The study was conducted in accordance with the ethical principles set out in the Declaration of Helsinki and the ethical guidelines for Medical and Health Research Involving Human Subject created of the Ministry of Health, Labour and Welfare in Japan. The study was approved by the ethics board of National Center for Child Health and Development (ID:1606).